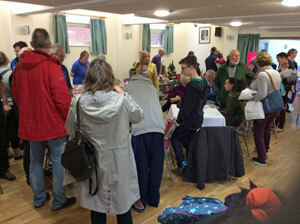 The Coffee, Cake & Craft sale at St Catherine’s Community Hall on Saturday 11th November proved to be a winner! 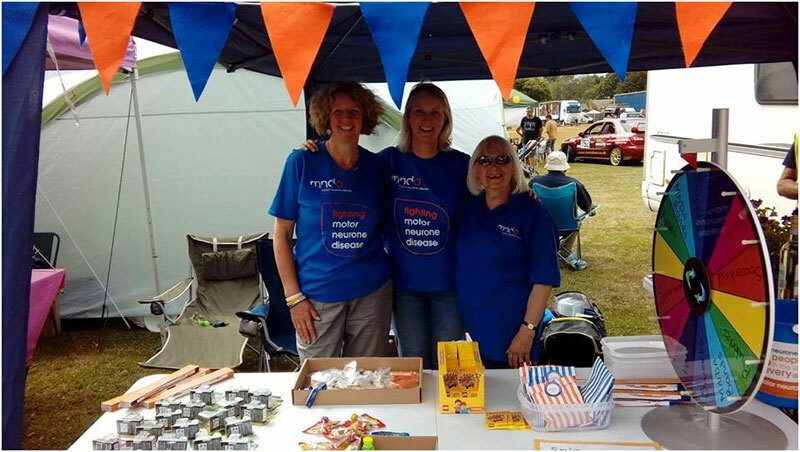 The band of volunteers arrived all determined to make this event, at a new venue for us, a success and, thankfully, the heavy rain forecast stayed away which did help with carrying box after box from the cars. The various stalls were full of very tempting cakes, Christmas gifts & goodies, a Christmas hamper raffle and a childrens’ lucky dip; something for everyone. Brisk business was soon under way at the stalls with the tea tables occupied by people enjoying hot drinks and home baked goodies, whilst making note of the stalls they had yet to visit. The warm and welcoming atmosphere was commented on by many of the visitors and, as the saying goes, time moves quickly when you're having fun! Best of all, was that the sum of £960.98 was raised to help the branch! Definitely a winner! The day dawned fine for our Summer sale at Wareham and we were soon busy carrying boxes & crates into the lovely old Town Hall. An army of volunteers quickly had all the tables full of books, games, bric a bric, tombola, various craft items and cakes and when the doors opened at 10 am brisk selling started. News of the amazing array of cakes soon seemed to have spread throughout the town and at the end of close of business two hours later, £224 had been taken! 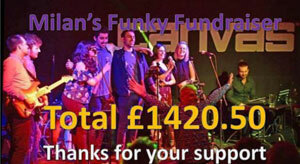 The whole event raised £724.45, such a great result! The organizing committee at Upton Carnival kindly decided to make the branch one of the recipients of the proceeds of their carnival week. We were also invited to send a representative along to judge the floats prior to the procession and to have a stall in the field. Lu and her son Lennie were our judging panel on the day with Lennie rehearsing his ‘and it’s a ten from Len’ prior to the event! Volunteers Jane & Jean joined Lu & Lennie on the stall having fun selling tickets for the Spinner raffle. 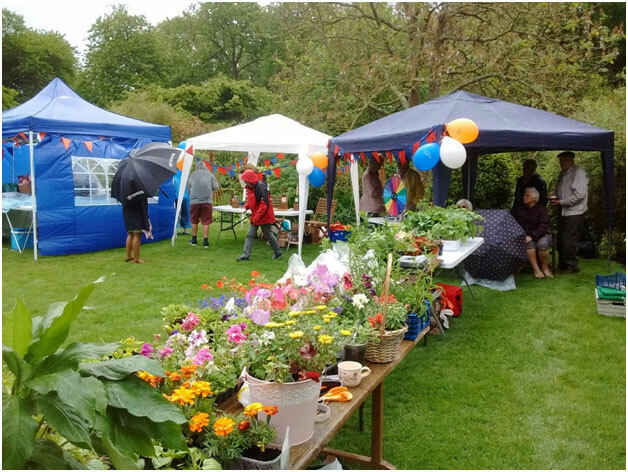 The whole day was a great success with the stall raising £147 and the carnival committee very generously giving the branch a donation of £300. A SOGGY SUNDAY AT SMEDMORE HOUSE! 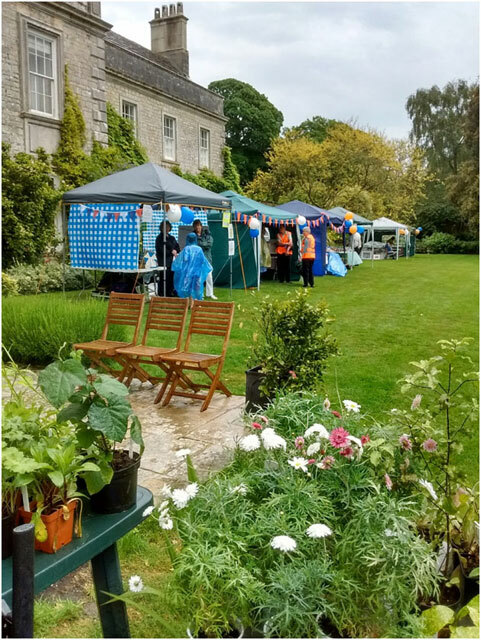 Despite the forecast of bad weather our plucky volunteers gathered at Smedmore House on May 28th and it wasn't long before the gazebos, stalls and cafe were set up and ready to go. The forecast of heavy rain from 1pm onwards proved to be correct and it wasn’t long after that the skies opened, but the plastic tablecloths and covers did their best to keep out the worst of the weather. Wearing all colours & types of cagoules, the volunteers manning the stalls were soon busy and, no matter how hard it rained, spirits were high. 250 people came through the gates which resulted in takings, before expenses, of £3360.80. Obviously down on last year but still a testament to the stoic people of Dorset and our wonderful volunteers. Thanks again to Dr Mansel, his staff and to all who supported us before and on the day. LV Insurance kindly allowed us a space in their canteen for a couple of hours at lunchtime on 22nd May. We raffled a football signed by AFC Bournemouth players and had two other competitions plus "spin the wheel". Thank you to all the employees for letting us interrupt their lunch hour and to those who sold raffle tickets in advance – we made £150 for branch funds and hopefully raised awareness. We hope to be back again soon at LV doing a tea trolley dash selling all sorts of home baked goodies – watch this space. 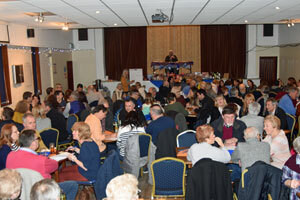 120 people attended the quiz night on February 11th. A lively crowd ready to test their grey matter on a quiz devised and hosted by Eddie Hill. RLA Group Ltd, Parley donated the cash prizes and Sainsbury's POOLE donated a huge chocolate cake for the cake raffle. Many quizzers arrived with prizes for the raffle so the final number almost doubled to 39 in total. Refreshments were a hearty fish and chip supper supplied by Herbies at Parley Cross and a delicious assortment of cakes. We have some contenders for Bake Off in our midst! The eventual winners were "Halal is it meat you are looking for" and the evening made a splendid profit of £963.66, thanks to the generosity of all those attending. 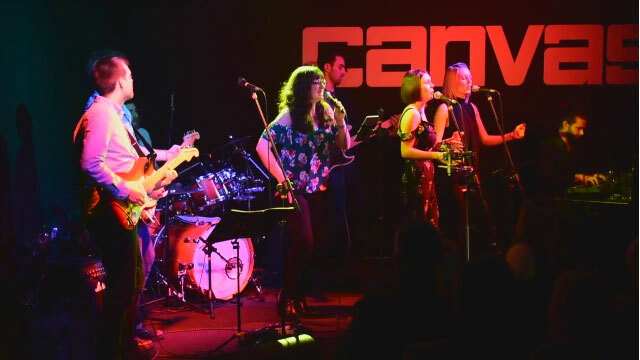 On the 5th February I held a Funky Fundraiser to celebrate my 60th birthday and to raise funds for the East Dorset and New Forest Branch of the MNDA. The night was a fantastic success thanks to two fabulous bands Evertide and Groovedeep, our sound man Pete Alcock and the branch members who manned the door ran the raffle and collected the money None of this would have been possible without my sons Matt and Ed and their fantastic friends and your tremendous support which has been quite overwhelming Several people were unable to attend, owing to a nasty virus or other reasons, and kindly donated via a Justgiving page.